I’m extremely grateful to be among the inaugural Jon M. Huntsman Presidential Chairs. This honor validates my work as a researcher and as a leader for the Department of Population Health Sciences. It will support me professionally while also helping me further the development and success of the department and our faculty, staff, and trainees. My research focuses on how to support patients who are making difficult decisions surrounding prevention, screening, and treatment. I test different interventions to determine the most effective methods for empowering patients to engage in meaningful discussions with their clinicians about their medical condition, and to be active participants in decisions about their health care. As part of this work, I have gathered hundreds of audio recordings of conversations between patients and their physicians. This data will help us better understand how patients and physicians are making decisions, and how we can improve the communication and decision-making process. However, combing through that data is very expensive. The Huntsman Presidential Chair provides essential financial support to conduct that analysis and will pave the way for future research. Additionally, I will continue with outreach efforts to patients in underserved communities. Talking to people affected by particular health conditions is one of the best ways to understand what influences their preferences and goals for care. This award will help us get out to different communities and gather information that allows patients to play an active role in developing interventions that will work best for them. Beyond research, training the next generation of health care professionals has been a particular passion of mine for almost two decades. I look forward to using this chair to create training opportunities and research support for post-doctoral trainees and junior faculty in Population Health Sciences. 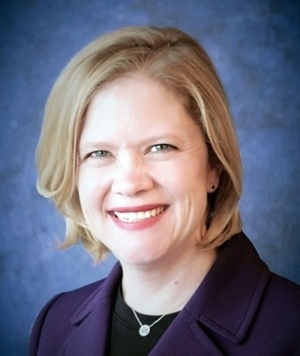 Guest blogger Angela Fagerlin is professor and chair of the Department of Population Health Sciences at University of Utah Health.